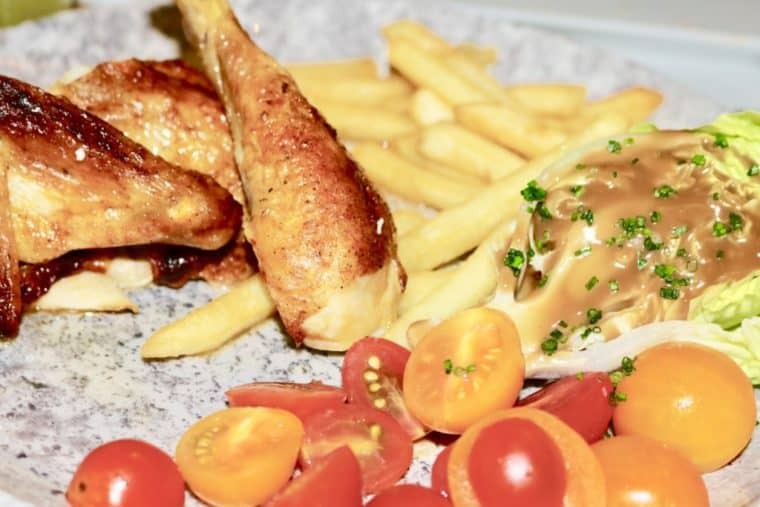 Do’Main Deli & Bistro @ Tanjong Katong | Is Life a Recipe? 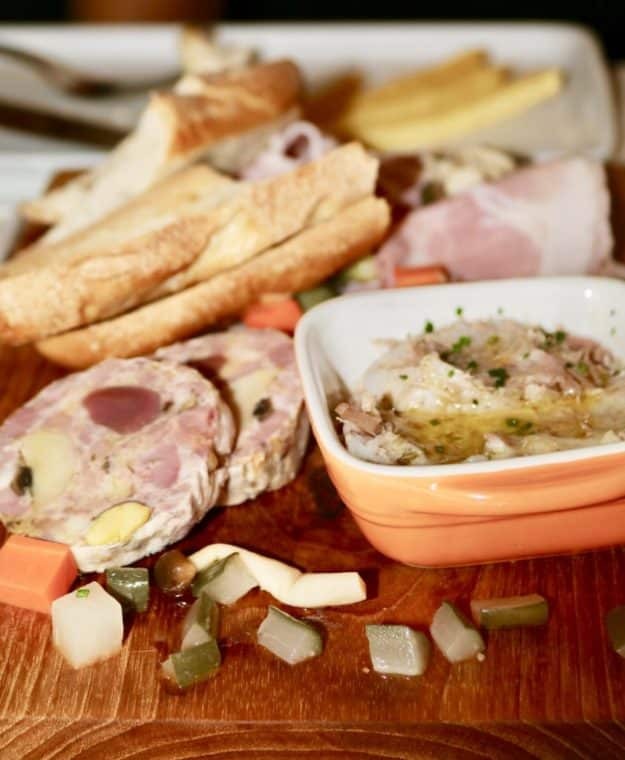 Off we go today to our mate Stephane’s Do’Main Deli & Bistro @ Tanjong Katong. And we are all so so very glad we did. Boy have we missed this place. It’s small, and homely. He has such lovely staff. Super happy and super attentive. Remember the massive window in to the kitchen so you can see those guys labouring away on our food. And this is all at extremely reasonable prices. East Coasters – it is a MUST. I really do recommend a quick call to book though, as mentioned it’s small and gets packed. And believe me, you do not want to miss chowing down here. Be safe!!! Book it!!! If you see Stephane, he’s the dashing French, Head Chef. Say hello, and ask him his recommendations. We chose a few new things this time. Remember the blog from last time – have a look HERE. It was funny the kids were starving. Luckily our server came to us with some fresh baked bread and salted butter. Even for that little plain serving there we ooohs and aaaaahs from our table. It is just bloody brilliant. Do’Main Deli & Bistro @ Tanjong Katong is on the Die Die Must Try list. 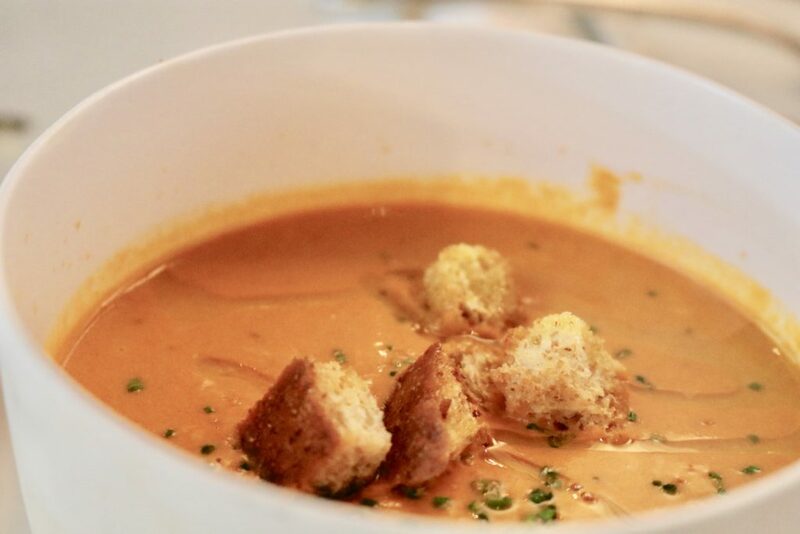 This is Chef Stephane’s grilled tomato soup, with Gruyere cheese and olive oil. Sounds pretty plan right. I tell you if I could afford to buy enough of this I’d bathe in it. It is off the charts good soup. We shared this between three because after one little taste, you surely cannot stop eating it. Superb soup! Do’Main’s signature rotisserie roast chicken, with chips and gravy. Oh yeah the gravy is a balsamic gravy, the stuff on the lettuce. Holy cow. Succulent chicken, with thick unctuous and slightly sour gravy. Heaven. Death on a plate – but what a way to go. 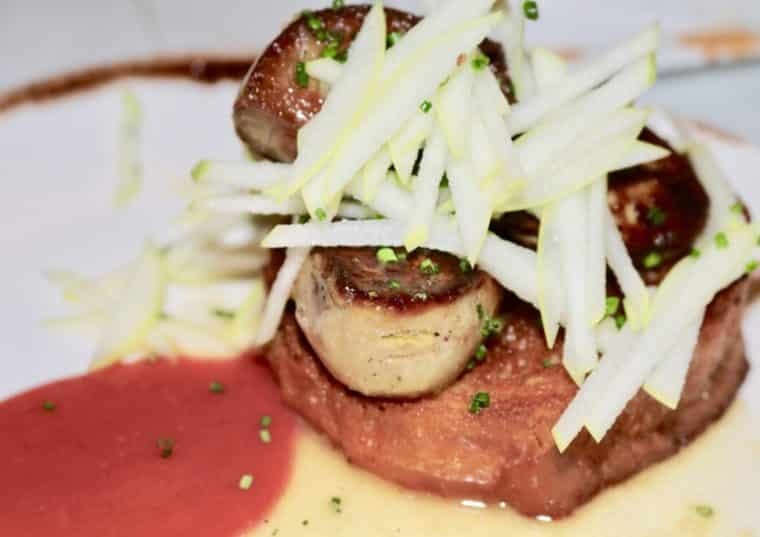 Foie Gras on a Crostini with a little strawberry jam compote. Let me just a little lie down so I can finish typing this. OMG. What a cracker this dish is, it’s bonkers good. Yeap we went hard this lunch ha ha. On comes the Charcuterie platter with pickles. Our favourite bit of this is his home made ham. That will stop a crowd in their tracks. Truly the best I have ever eaten. But look at all those other goodies on there – damned fine. I nearly fell off my chair when I had the first bite of this. Without doubt one of the absolute best I have ever eaten in my 50 years. This was just insanely good. 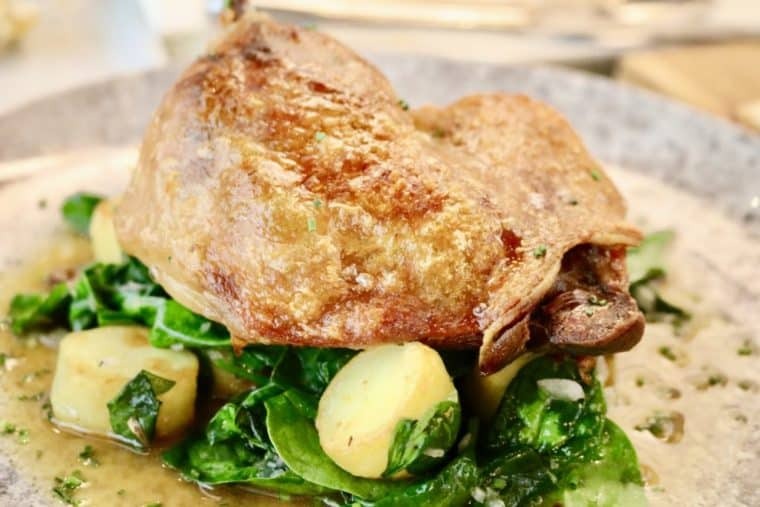 Chef Stephane has knocked it out of the park with his Duck Confit, Roast Potatoes and Spinach. Oh boy!!! So there you have it folks, our lunch today. We even had the great fortune to see the great man, Chef Stephane, as we finished. See you soon mate. Amazing lunch, just amazing. Be proud mate of the food and staff, both TOP drawer. Just superb. So my friends, you can easily see Do’Main Deli & Bistro @ Tanjong Katong comes as a massive family Kennett recommendation. Book it up, and get down here. We are 1000% certain you will indeed – ENJOY!!! No Replies to "Do'Main Deli & Bistro @ Tanjong Katong"